This is a pic of the iPad showing the MC15000 built-in elephant design beautifully lined up with the black cross hair marking which was deliberately placed at an angle. NO need to fuss with hooping and rehooping to get placement just perfect….. the Acusetter APP does it efficiently and quickly. Also refer to link below for step-by-step instructions of how this very slick tool works. This pic shows the screen of the Janome MC15000 after the elephant was repositioned on the iPad and then sent wirelessly to the MC15000……so clever, so easy …..now just embroider the elephant at the exact jaunty angle you desired! 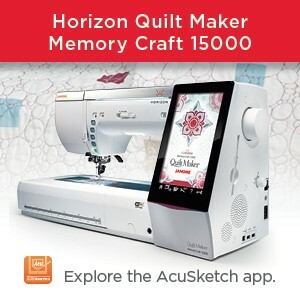 This entry was posted in Janome ACUSETTER App and tagged JANOME MC15000, LINING UP EMBROIDERY DESIGNS PERFECTLY, Perfect embroidery placemnt with Janome Acusetter App, WIFI and the Janome MC15000. Bookmark the permalink. Is there anything similar to this for the 12000? Unfortunately not due to the necessary WIFI connection between the iPad and the Mc15000. But the Mc12000 can make use of the Clothsetter which is a truly wonderful piece of equipment. Liz , Everything out right now is for the 15000 what about all your other embroidery machine. I have the 9900 is there anything out there for that? 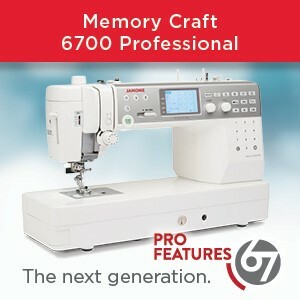 If you do a search on this blog for MC9900, there are posts on this machine. There are a number of optional accessories for this machine and we are always looking for new and exciting ways of expanding what we can do. 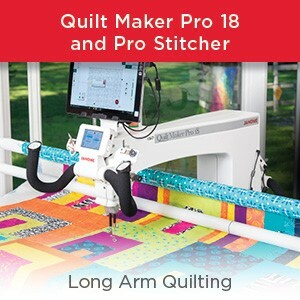 Your local Janome dealer would be happy to show you these items such as quilting table, feet & accessories, smaller free arm hoop, Clothsetter, etc. These are exclusively for the MC9900. Our AcuDesign APP is also not just for the MC15000. 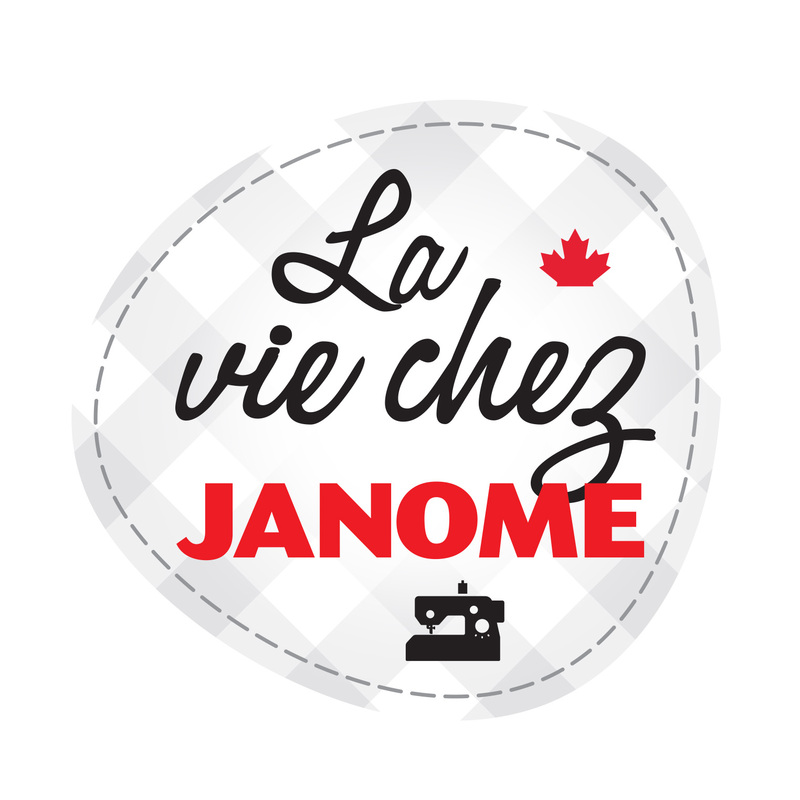 It is not even just for Janome machines – it is multi-branded. You might want to see if this might be something you would like to add to your toolbox? We have also posted on janomelife about AcuDesign. You might also be interested in the JANOME ACCESSORY VIDEO APP which is available for smart phones (IOs an Android) as well as tablets & iPads. There are literally dozens & dozens of videos on how to use our feet & accessories – and this APP is FREE! Just google and you will find where to download it. The embroidery machine needs to have WIFI capability so not that I am aware of at this stage. However, if we hear of a way, we will post it on the blog. As an afterthought, you DO have the Clothsetter for the Mc11000 that does a wonderful job of perfect placement of designs. You might want to investigate this tool. I LOVE our Clothsetters. Yes, it is only for the Janome MC15000 as it works on the wireless iPad connection to the machine. But you do have our wonderful new MC500E which is knocking everyone’s socks off with its many features and big hoops.